For every use of Facebook that is lamentable or just plain awful, there’s something like the Newport News group that I’m a member of. Filled with people whose memories of the Peninsula predate mine, it’s regularly full of surprises. None so big, though, as the pointer to a discussion forum on a Newport News High School site about World War II POW camps in my home town. 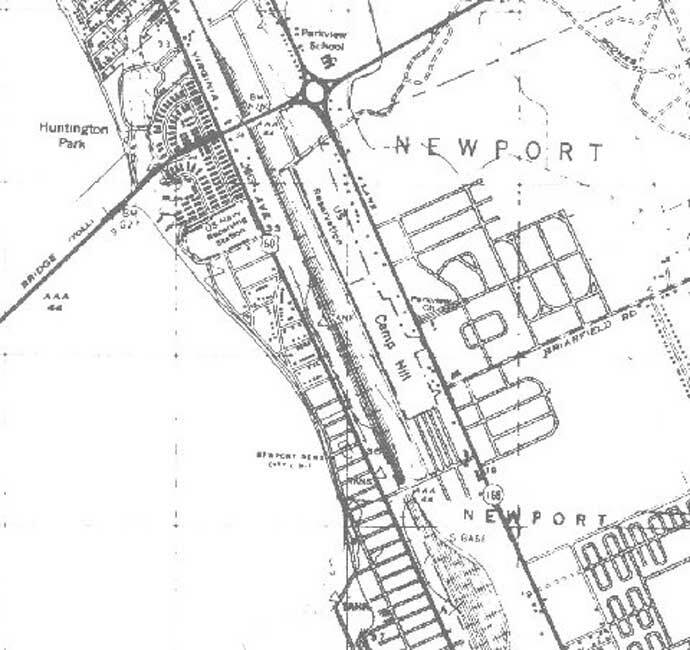 I think I had been vaguely aware that some prisoners of war had been housed in Newport News, particularly at Camp Patrick Henry (in my childhood Patrick Henry Airport, today known as Newport News/Williamsburg International Airport or “New Willie”). But I wasn’t aware of the scope: over 134,000 German and Italian POWs were housed in the camps at Camp Patrick Henry, Fort Eustis, a POW camp near the Port of Embarkation, Camp Hill, and other locations. According to one article, a major purpose of the camps was the “re-education” of former Nazis who were drafted into the German army unwillingly. To my surprise, I also learned that there were enemy alien interment camps (like the ones in California that held a young George Takei) in New Market, Staunton, and Bath; these held German, Italian and Japanese natives. History isn’t distant; sometimes it’s right where you’ve been all along.